Can you believe it’s already been a month since we last talked? Actually, I can, because so much has been happening since our last newsletter that we don’t even have time for this type of smalltalk. Let’s get right to the meat of this newsletter and share some resources that will make us all smarter. Google Analytics Debugger (chrome.google.com/webstore) – This Chrome extension developed by Google allows you to unlock debug mode for Google Analytics and troubleshoot installation problems, geek out and have hours of fun for the whole family. Tags Gallery (tagsgallery.com) – This site is so brand new that I am hoping that it can gain some momentum by sharing it here. It is basically a repository of tags that you can add to your site for advanced tracking in Google Analytics or Google Tag Manager. Ghostery (ghostery.com) – Perhaps this is the anti-analytics tool, but it’s something we should beware of as marketers. This tool allows you to choose which website can use your private information and is geared toward supporting higher levels of user privacy. 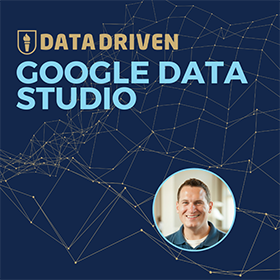 Making Sense of Data(datasense.withgoogle.com) – Want to take a free online course from Google about better understanding data? You have until April 4th to sign up for this class, so act soon! 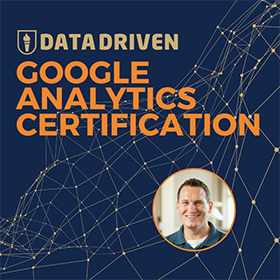 Google Analytics Academy (analyticsacademy.withgoogle.com) – Another online course from Google that started earlier this month, but still appears to be available. 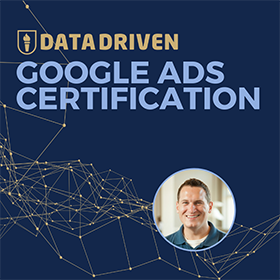 Even though it’s directly in competition with the classroom teaching that I do, this is a great online option for those who want to learn more about GA. Similar Web (similarweb.com) – Competitive intelligence tool that had highly accurate visitor estimates according to one site I am working with. Moz Local (moz.com/local) – When the folks at Moz acquired Getlisted.org late 2012, we knew that they were going to combine forces to build something great. We had no idea that it would be this great. Local businesses can get their site listed in several directories for just $49/month. That’s a steal compared to everything else on the market. Audit WP (auditwp.com) – Want to have your wordpress website audited by SEO professionals at a seemingly affordable rate? This service might be of value, although I have not tried it myself. Member Mouse (membermouse.com) – I am in the process of building a members only site (more on this below) and I needed a piece of software that played well with WordPress yet powerful enough to customize. After reviewing tons of options, I chose Member Mouse as my platform and this software has been outstanding so far. Google Maps Gallery (maps.google.com/gallery) – Want to see some of the most beautiful map/data mashups from around the world? Check out the Google Maps Gallery and be inspired by the amazing data visualizations that they have available. I could spend hours on this site! Ridiculously Responsive Social Sharing Buttons (kurtnoble.com/labs/rrssb) – I think that the name says it all. Social sharing buttons that look great on any size screen. I’ve decided to move my personal updates down to the bottom of this email, because I realize that this may not be appealing to some readers. If you just want the tools and articles, then there’s nothing else to see here. If you want to hear some of my deeper thoughts and ambitions, please read on for some insider information. This month I wrote two posts on Jeffalytics that proved to be fairly popular. The first was about understanding the profit margins for your company and how it affects everything around you. My friend Nick said the article was “worth its weight in gold for a small business owner” and I encourage you to give it a read. The second article is the most popular article on Jeffalytics for some time. It’s called Why I will not “do SEO” for You and has elicited quite a few strong reactions and head nods from those who have read it. If you want to see snarky Jeff, here is your chance. Tonight I am heading to London to speak at Measurecamp. In true Jeffsetter style, I’m using frequent flyer miles to make the trip, leaving at 10:30 PM my time and landing at noon in London. I will then make my way to the conference and give a 30 minute presentation that aims to delight, inspire and entertain my UK friends. If you are on this list and will be at Measurecamp, be sure to say hi! The biggest development in my world since we last talked is a new website that I am working on called Knowledge Land. This site features premium content that is exclusively available to members of the community. My goal is to share everything I have learned over the years to help grow the collective knowledge of the marketing profession. I have never been more excited for a project than I am for Knowledge Land. It is a natural extension of the teaching I have done over the past 4 years, and provides ongoing support to my former students, marketing professionals, small business owners and just about anyone else who wants to be better at what they do. You will surely be hearing more about Knowledge Land in future newsletters, so stay tuned. If you are an early-adopter type person, you can visit http://knowledge.land to see what all of the fuss is about. Sign up for a free account today and I will upgrade you to a premium membership until the site launches in beta mode July 1, 2014! Earlier this month I gave a webinar to the Marketing Profs community. One of the comments I received on the webinar was that it was like “drinking from a firehose of information.” While some people may take that as a negative feedback, I view it as largely positive. That’s exactly what I strive to do here at Jeffalytics: provide you access to a firehose of information. If you’ve read this far, you now have over 20 resources that will help you improve your professional knowledge. Now it’s time to act!